The most fitting description for The Girl in the Spider’s Web in comparison to David Fincher’s peerless predecessor, The Girl With the Dragon Tattoo, can be summed up by their opening credit sequences. In true Fincher fashion, Dragon Tattoo’s stylistic opening credits were a 90’s grunge music video bleeding with slimy black ink and fire. Set to a cover of Led Zeppelin’s “Immigrant Song” by Trent Reznor and Atticus Ross with vocals by Karen O, this set the violent, deranged tone for the dark and seedy mystery that we were about to be engulfed into. This new film’s opening credits attempt to recreate the same aesthetic, but with much cleaner visuals, and a dull generic somber musical score. This is almost the perfect metaphor to sum up this entire film: a bland, generic imitation of a much more striking and memorable work of art, but sands the edges off to such a degree that it completely misses the original’s point. 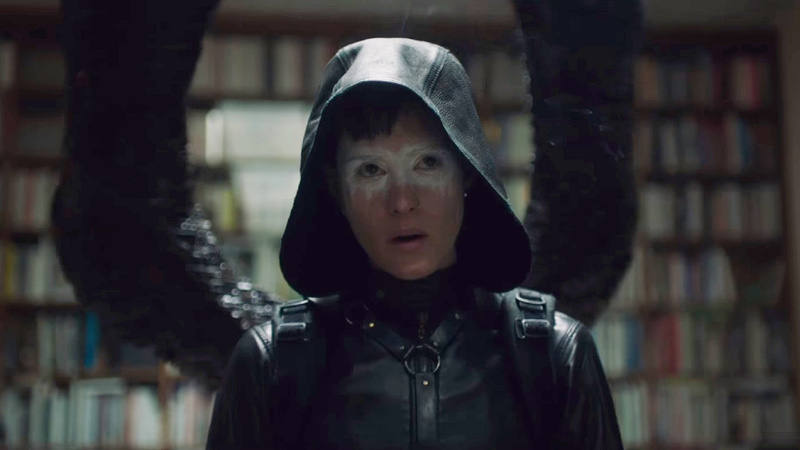 For what is supposed to be a mystery series, the conflict at the core of The Girl In The Spider’s Web is nothing more than a simplified version of a low-rent James Bond/Jason Bourne movie with a convoluted plot revolving around a faceless elite hacker group known as “The Spiders” trying to acquire nuclear weapons for some unspecified reason. Lisbeth Salander – our returning protagonist from the previous film (this time played by Claire Foy) – finds herself caught in their web uncovering the flimsily executed mysteries of her past in the process. There’s a heavier emphasis on action sequences this time around, presumably to keep the attention of anyone who might have been bored during the first film. While the cinematography at points, especially early on, create some vibrant and striking images with beautiful lighting and framing, its excellence is offset by the amount of rapid editing and shaky cam during the action scenes. However, the most essential element in a “The Girl” movie is the titular girl herself, Lisbeth Salander: the damaged, reclusive hacker dedicated to exposing and fighting back against oppressive misogyny after her own traumatic experiences at the hands of male authority figures. More than just an empowering feminist protagonist, her story also served as a commentary on Sweden’s overwhelmingly disproportionate rate of crimes against women. Her first onscreen portrayal was played by Noomi Rapace in the original Swedish adaptations of the first three books, who set the template for cinematic portrayals of Lisbeth, almost equivalent to what Sean Connery is to James Bond. Her quintessential look as a pale, rail-thin, piercing and tattoo-clad goth punk provided the basic outline for how this character would be defined, and for many still stands as the definitive version of the character. 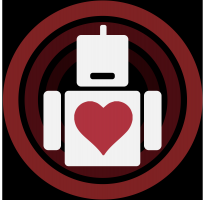 This version has the benefit of being first, as well as being performed in the character’s native language, but it still establishes Lisbeth’s tragic backstory and her basic characterization. Less than two years later, The Girl With the Dragon Tattoo would receive an American remake with Rooney Mara taking over the role of Lisbeth, coming off of her previous collaboration with David Fincher on The Social Network. Despite such a short gap between iterations, Mara and Fincher managed to uncover so many new depths and layers to Lisbeth than have ever been explored previously, including the novels, earning her a well deserved Oscar nomination for her performance. In addition to almost effortlessly nailing all of the surface-level signatures of Lisbeth’s character from her punk rocker looks to her aggressive personality, their collective understanding of this character allows them to see the truly tortured and damaged soul that is hidden underneath all of that. Lisbeth is a strong woman and a persistent fighter, both physically and mentally, but the 2011 remake considers her psychology and her emotional and mental being with far more nuance and complexity. 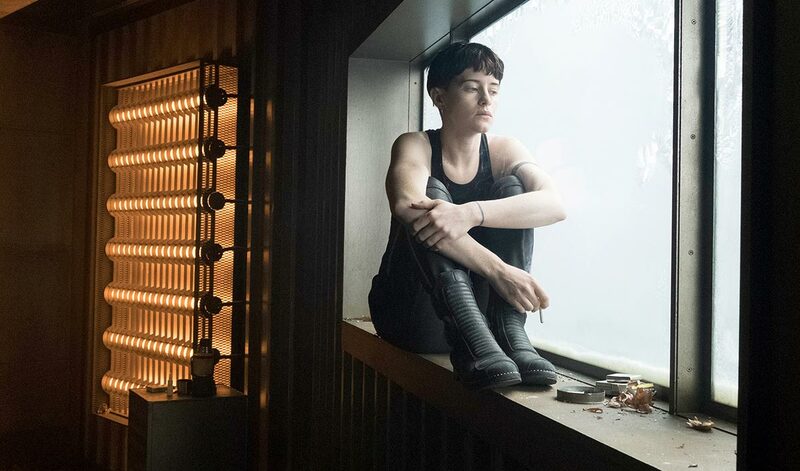 Though having to follow up such a layered and transformative performance is no easy task, Claire Foy gives a solid, serviceable performance as Lisbeth. She has a firm grasp on the complicated accent and her overall demeanor, but it’s only those superficial elements of the character that the film ever bothers to explore. Lisbeth’s emotional and psychological damage has all but been dismissed, resulting in exactly the basic tough punk perception that Lisbeth appears to be on the surface. She’s composed and verbally equipped, delivering clever comebacks to most interactions she has with other characters, a far cry from Mara’s version of the character who exhibits realistic signs of social anxiety brought upon by a lifetime of emotional and physical abuse. Aside from Lisbeth, the other central character to the series is Mikael Blomkvist, disgraced veteran journalist who enlisted the help of Lisbeth to uncover the disappearance of Harriet Vangar in the original. As the series became more about Lisbeth, Blomkvist’s inclusions became more unnecessary as he wasn’t given anything nearly as substantial or relevant to contribute to the story, as is the issue here. His connection to Lisbeth which played such a pivotal role in the previous film, is barely even touched upon and the brief amount of screen time that they do share doesn’t do anything to further their relationship. If anything, The Girl In The Spider’s Web almost goes out of its way to disregard it, further begging the question of why Blomkvist’s inclusion was even necessary. Not to mention that the actor who plays him this time around (Sverrir Gudnason) is a young hotshot pretty boy, the polar opposite of the grizzled veteran that Michael Nyqvist and Daniel Craig had previousl portrayed him as. Another addition to the cast is Lakeith Stanfield as an American NSA agent who also gets swept up in this conspiracy, and while he is always an entertaining presence, his inclusion feels solely for the purposes of mass marketing the film to a wider mainstream American audience. His character also isn’t given much to do, and feels as if he and Blomkvist could have been merged into the same character without making much of a difference to the story. The biggest tragedy of this movie’s entire existence is the absences of Fincher, Mara, Craig, and just about every cast and crew member involved with the making of the first film. The closest comparison that could be made to this film is another 2018 reboot/sequel Pacific Rim: Uprising, wherein both films act as soft reboots, yet still somewhat of semi-sequels to the originals. The absence of the directors of the originals in the follow-ups are abundantly clear as their distinct auteur visions are diluted to appeal to a more widespread mass audience, yet result in a more generic, diluted imitation of its predecessor. Every creative and business decisions feel as if it is made for the purpose of mass marketing the movie to the widest audience possible, which not only results in an inferior product but ironically, will end up making even less money than the riskier and more inventive original. Emma Thompson shines but The Children Act struggles to fulfill the potential that its premise entails.